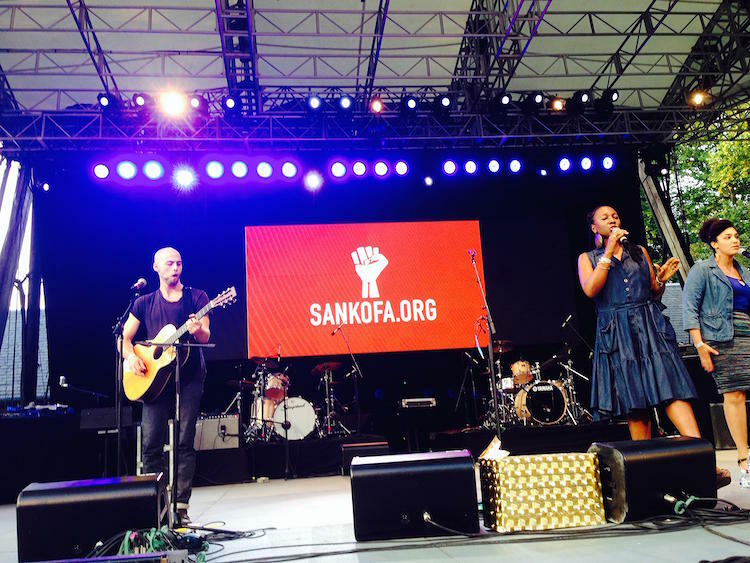 In 2013, legendary actor, entertainer and humanitarian Harry Belafonte launched Sankofa to create a social impact and entertainment enterprise that could leverage the creativity, support, and donations of influential artists, thought leaders, and grassroots leaders to work collaboratively in speaking out on today's most pressing social justice issues. Sankofa has galvanized vast audiences around racial, environmental and economic justice causes - from a collaboration with multi-Grammy award-winning artist Usher on his riveting "Chains" music video to a partnership with Blackout for Human Rights on the groundbreaking "Justice For Flint" fundraising concert. ThoughtWorks provided consulting, brand and tech expertise to build Sankofa’s website, Sankofa.org. The site serves as a key resource to highlight the work of artists and activists within the Sankofa network. It also hosts stories from communities most impacted by systemic injustice, and engages people in calls-to-action around crucial social and policy reforms. ThoughtWorks effectively implemented an online organizational presence using Ruby on Rails and Refinery CMS, which allows site editors and contributors to add new or updated content as needed. Actor Jesse Williams made a powerful speech on racism when accepting the 2016 Humanitarian Award at the Black Entertainment Awards (BET), galvanizing massive media attention that highlighted Williams’ strong working relationship with Sankofa as an advisory board member and vocal advocate of the organization. The news coverage caused a huge spike in site visits, amplifying the mission of Sankofa. ThoughtWorks helped us build a platform which has been a catalyst for our growth, giving us a forward-facing view of what’s possible. We could have never come this far in our organizing without ThoughtWorks. In October 2016, Sankofa hosted the inaugural “Many Rivers To Cross” Social Justice Music and Arts Festival, just outside Atlanta, Georgia. The festival featured many top artists and celebrities, as well as brought together thought-leaders, activists and over 40 nonprofit organizations around the issues of mass incarceration and criminal justice through the lens of voting rights. Performers included John Legend, Estelle, Common, Carlos Santana, and Public Enemy, in addition to appearances by Chris Rock, Jesse Williams, Angela Davis and Dr. Cornel West. Sankofa founder, Harry Belafonte, took the stage to call attention to the massive prison population and shared his history of civil rights activism through working with Martin Luther King, Jr. in Atlanta.